Doing good doesn’t, and shouldn’t, always feel good. For the sake of justice, let’s face that discomfort. 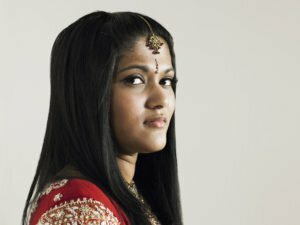 Side profile of a young person wearing decorative bindi, gazing into the camera. Credit: Everyday Feminism. All rights reserved. Here at Everyday Feminism we often write about cultural appropriation—when members of dominant culture takes cultural elements and practices from a people who are systematically oppressed by that dominant group. A huge question that pops up is: Well, what can I do about it? It’s not my fault. Isn’t this really an issue of our capitalist culture and globalization—two huge things that seem too big to tackle? We also can’t forget the many histories where people of color have been directly used as commodities—like how Black people were used for slave labor. Imperialism extracts what’s valuable from people and territories that are colonized—which might seem familiar. Capitalism offers a promise of freedom and equality, yet is premised on unequal distributions of income and wealth. The idea that this system depends on merit—that working harder and better leads to success—obscures racist practices. 1. Our individual expression is encouraged through consumerism. We should be free to do the things we enjoy or wear the clothes we like—but self-expression is a privilege. Some folks are pressured to change the ways we express ourselves, like the ways we look and act, just to stay employed or stay safe. 2. The idea of diversity has become commodified and consumable. The mainstreaming of diversity means that it’s now “sellable.” We’re socialized to think about diversity in aesthetics—as in, the more variety the better. This aesthetic approach to diversity often leaves out the various intersections of identity—instead of actually including people, we tokenize them with a “one of each” model. In my old neighborhood, there’s an avenue where you can get sushi, Chinese bao, tacos, and banh mi. While this makes the neighborhood seem culturally diverse, it’s diverse in a decorative and aesthetic sense–rather than a social ideal of equality. Many of these restaurants aren’t owned by the communities that the cuisine purportedly represents–and the decor often looks like a kitschy Epcot-esque theme party. These activities can help expand our perspectives. The problem is when we conflate equity with these consumable experiences–because they are not the same thing. Having a bunch of different voices at the table doesn’t always mean those voices are equally respected—just like having a bunch of different representations of cultures doesn’t always mean those cultures are equally respected, valued, and understood. 3. The complexity of cultural expression and history gets flattened through commodification. When we reduce culture down to just the pieces we want to take, we often lose the important stories, memories, and rich histories—the stories that tell us how cultural objects and practices came to endure and survive over time. But if you’re trying to practice a tenet like mindfulness, you don’t need to buy “Buddha bookends” or “yoga dog” sculptures—which are, unfortunately, real products from Pier 1—to do so. We can educate ourselves on the histories and significance behind cultural objects and practices: Why are they meaningful? Where have they traveled? What other objects and practices are they associated with? How and where are they made? Are local artists or producers creating them—and if so, how can I support their work? The information’s out there—read pieces like Minh-Ha T. Pham’s excellent essay on the production and consumption of the “Chinatown plaid” pattern that became “high fashion.” Learn about some of the unique dress and customs of the 566 different recognized Native American tribes in the US, and reject generic patterns from companies using labels like Navajo, “tribal,” and “Native” interchangeably. 4. We buy from big companies and consume their approaches to culture. Companies produce what we’ll consume—and we’re consuming a dangerous ideology that says culture can be mass-produced. When we approach culture as consumers, that shapes society to operate in a way that seeks out the next big thing–regardless of the consequences. For example, Taté Walker offers some ways to honor Native Americans without appropriatingNative culture, such as backing Native-led movements or supporting Native American artists. As we re-program our approach to culture, let’s really think about intention and impact—who ultimately benefits and who doesn’t. Responsible consumerism benefits us in an individualistic sense—we get to feel good about doing good. However, doing good doesn’t and shouldn’t always feel good.